Freshly squeezed oranges. Zest spritzing from a juicy tangerine. A touch of lemon. Our Citrus Oatmeal is a magnificent bar that revitalizes you with every shower. No wonder it’s one of our best sellers for men and women. We start with the same wholesome vegetable oils and emollients that go into all Herbaria soaps. Then we add ground oatmeal for gentle exfoliation and shea butter for moisturizing. The combination of rich, creamy lather and a good scrub makes for clean, healthy skin. It is a gorgeous bar colored by the bright orange essential oil and annatto, an all natural food coloring. Bold orange scent in a gentle bar. “I am so excited about these soaps. 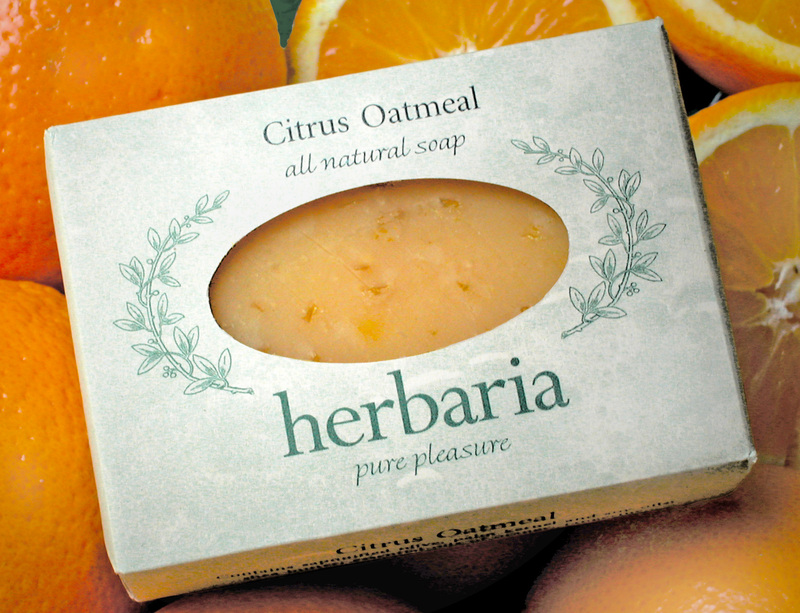 My friends Bess and Jon are the ones who turned me on to Herbaria, and I remember when Bess handed me the bar (it was Citrus Oatmeal) she said, “You will never go back”...I wasn’t so sure, because I used liquid body washes and wasn’t much of a bar soap person.